Painter of genius, gifted courtier and much-travelled man of the world, Rubens reached England in 1629, charged with the delicate task of furthering an entente between the Spanish government and Great Britain. C.V. Wedgwood shows how he enjoyed the conversation of his youthful host, whose fine aesthetic taste he shared, but shrewdly judged the weakness of King Charles I’s diplomacy. Briton Martin Jnr. 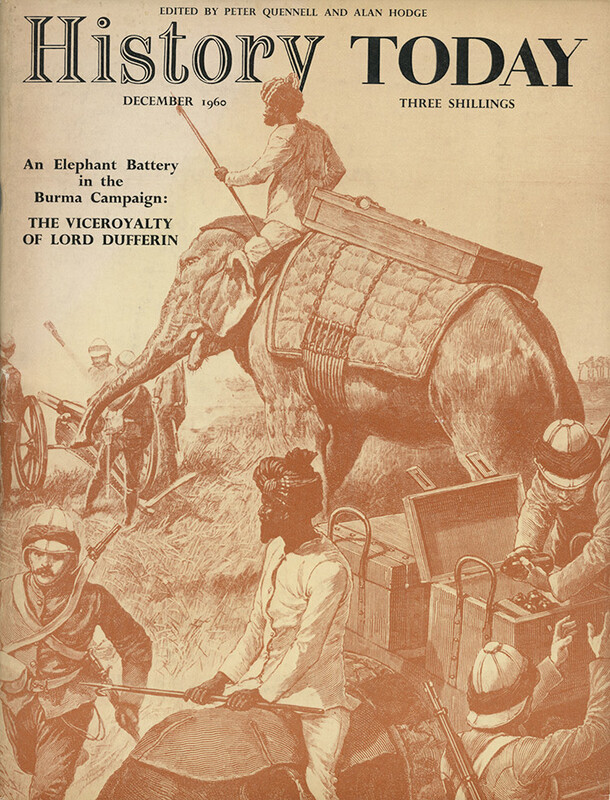 describes how Lord Dufferin set out for India, intending his rule to be a period of conservative calm, but found himself involved in the anxieties of “The Burmese Adventure”. The intervention of Mr. Churchill and the Royal Naval Division at Antwerp in early October, 1914, failed to save the city, writes David Woodward, but the vital Channel ports were thereby saved. ‘Whoever is Lord in Malacca, has his hand on the throat of Venice’, wrote a European traveller during the period of the city's greatest glory. G.P. Dartford brings us back to a time when Malacca dominated the trade routes of the East. For nearly four hundred years, while ancient London Bridge still spanned the Thames and the stream's broad surface was now and then frozen over, London's citizens poured down from the streets to hold carnival upon a solid ice-pavement. Both the religious and the secular celebration of Christmas was forbidden by the English Puritan republic, but by no means everywhere with success.